Transform your kitchen into a culinary classroom with this comprehensive guide to making you the best home cook you can be. 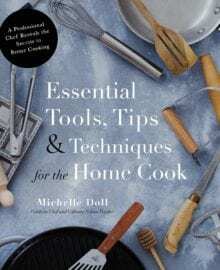 Learn how to properly sauté, sear, whip and chop; which tools ensure amazing results; and which products to stock your kitchen with. Then, impress everyone with perfectly done salmon with white wine and tarragon sauce and crispy roasted potatoes with spiced harissa yogurt. To finish a expertly prepared and cooked meal, an equally impressive Kentucky coffee, will leave you feeling warm, cozy and simply satisfied.